An evil clown terrorizes an idyllic New England town. 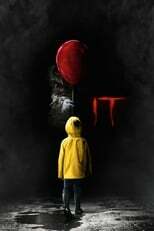 It is directed by Andy Muschietti and was released on Sep 8th, 2017. Director Andy Muschietti's Horror & Thriller movie It is produced by RatPac-Dune Entertainment & New Line Cinema & was released 2017-09-06.